The debate around gender diversity at the most senior levels in the corporate world has shot up the agenda in recent years – but for all the talk, how much progress has been made in the financial services sector? New Financial’s latest research on female representation on boards and executive committees across European capital markets shows the numbers are heading in the right direction across the industry. Whether the industry likes it or not, improving diversity has political momentum which cannot be ignored. In the UK alone, there has been a flurry of government-backed diversity initiatives in the past year, focusing on gender, ethnicity and social mobility. That pressure is translating into more women at the highest levels of decision-making in banking and finance, according to New Financial’s latest research. Counting Every Woman 2017 is our third annual report measuring gender diversity on boards and executive committees. Our sample covers 240 companies and organisations in 12 different sectors of the European capital markets:asset managers, banks, central banks, hedge funds, insurance, investment banks, law firms, pension funds, private equity, regulation and policymakers, stock exchanges, and trade bodies. This year we have included the insurance sector for the first time. The percentage of women on boards has increased by five percentage points to 25% since we published our first report in 2014. Female representation on excos has risen by three percentage points to 18%. These averages are not far off the FTSE100, where 27% of board positions and 19% of exco roles are held by women. But now is not the time for complacency. There is still a marked difference between boards and excos. Average female representation on boards at banks, for example, stands at 33%, more than double the number on excos at 13%. On average, gender diversity on boards is more than a third higher than on excos. And while our sample is (on average) on track to meet the Davies Review target of 33% female representation on boards by 2020, it wouldn’t reach the Hampton-Alexander target of 33% for excos until 2024 , based (simplistically) on the rate of change over the past year..
Our averages also mask a wide range in gender diversity across different sectors in our sample – for example, average female representation on excos is lowest at 9% for hedge funds, rising to 31% for trade bodies. And when it comes to the types of roles women hold on boards and executive committees, our research quantifies the relative lack of women in frontline business roles. 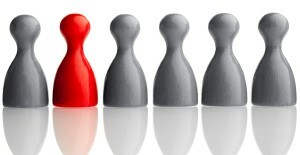 On boards, the proportion of female non-executive directors (26%) is more than twice that of executive directors (12%). Where women sit on executive committees, they tend to be in support roles rather than in the C-suite or revenue generating functions. Women account for 37% of support roles on excos, but only 14% of heads of division or region,12% of the C-suite, and 7% of CEOs. One way to swiftly boost the number of women on excos and send a very powerful signal of intent could be to elevate female leaders in essential functions to the executive committee.Companies can also play an active role in encouraging women into business-leading positions, as well as widening their criteria of the skills they want a board or exco member to bring to the table. This report, which was supported by Columbia Threadneedle Investments, aims to inform the capital markets sector, to help fuel more open discussions and greater collaboration between peers and sectors – to share data, face up to common challenges, identify best practice, examine what does or doesn’t work and move towards new industry standards. Certain issues are too important to be kept under wraps out of ignorance, embarrassment or to serve competitive advantage – diversity is one of them. New Financial believes that diversity in its broadest sense is not only an essential part of running a sustainable business but a fundamental part of addressing cultural change in capital markets. 1. A quarter (25%) of board directors at firms and organisations in the European banking and finance industry are women, and almost one in five (18%) executive committee members are female. This is not far off the FTSE 100 average, where 27% of board positions and 19% of exco roles are held by women. 8. Women who do sit on excos tend to be in support roles rather than in C-suite or revenue generating functions. Nearly two thirds of heads of human resources (64%) and more than half of heads of communications (56%) who sit on excos are women, but only 14% of heads of division or region,12% of the C-suite, and 7% of CEOs are female. New Financial collected data on boards and excos from 240 companies and institutions across 12 different sectors: asset managers, banks, central banks, hedge funds, insurance, investment banks, law firms, pension funds, private equity, regulation and policymakers, stock exchanges, and trade bodies. This year we have included the insurance sector for the first time. In each sector, we selected 20 institutions with significant operations in Europe based on their size, activity in the capital markets, and the availability and quality of information. The sample is largely unchanged from our two previous reports, but where we have added firms we have backdated our analysis to make the sample as comparable as possible. This explains the minor differences between figures published in this report and last year’s report. We did not include boards for hedge funds, law firms or private equity firms due to the lack of comparable data. In total, our sample includes 2,977 members of 240 executive committees and 2,529 members of 186 boards. All data was collected between December 2016 and February 2017 using company websites, annual reports, the Financial Services Register and Companies House, and effectively represents the picture as of the end of 2016. Where firms or organisations did not publicly disclose their executive committee, we identified senior executives from public sources to create a proxy exco based on the roles typically found on publicly-disclosed excos. Where a company was a subsidiary of a larger entity and had no board, we used the parent group board. New Financial is a think tank and forum that makes the positive case for bigger and better capital markets to drive growth and prosperity in Europe. We believe this presents a huge opportunity for the industry and its customers to embrace change and reform, and to rethink how capital markets work. Diversity is one of our four core areas of coverage. We provided data to Jayne-Anne Gadhia’s government-backed review of senior women in financial services, Empowering Productivity, and we are working with HM Treasury to conduct an annual review of the HMT Women in Finance Charter to monitor the progress of charter signatories.